As part of the Rat Race Rebellion site overhaul, we’ll be posting weekly notices about the SPAM and SCAM emails that land in our email inboxes each week. We’ll try to keep subject matter to work from home related issues, but occasionally there are some off-topic emails that are just so “yucky” they deserve a mention. There are a bunch of these medical coding emails making the rounds right now, using a variety of subject lines. The Problem: “Click Bait” – There is no job, no training, no nothing. These emails are leading to a page of links which these scoundrels hope you’ll click on because they are actually pay-pre-click ads that will pay them for each click generated. 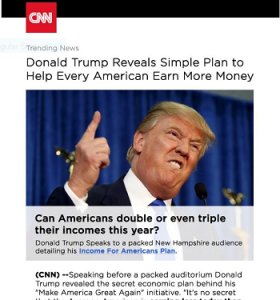 The Problem: The link in the email leads to a fake CNN site and that links to the “Ultimate Home Profits” – the latest in a long line of con games. Using the name “EMILY HUDSON” (a fabricated character), they will try to tell you that for “just $97” you can make up to $379/day. y will attempt to capture your email address on the entry screen (see image, right). Once they have that piece of information, you can expect your email address to be sold to other scammers. RUN! These scams are designed to take your $97 and then follow up with sales calls from people who will try to sell you “coaching” for thousands of dollars. JUST SAY NO! Those are a few of the scams and come-ons you should beware of this week. 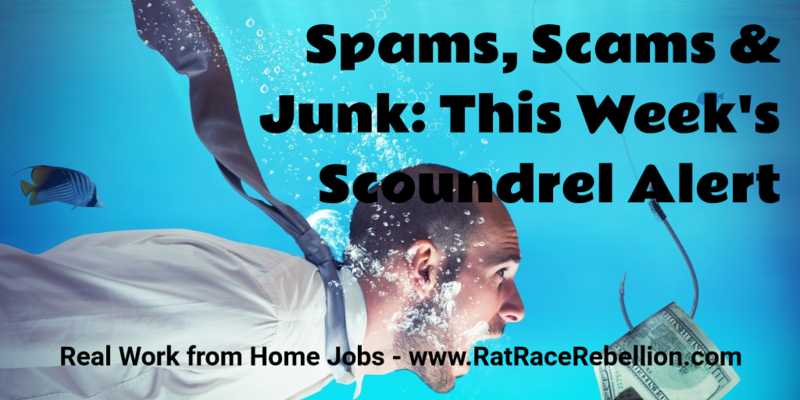 Stay tuned – we’ll be bringing you more Spams, Scams & Junk information every week! In the meantime, safe searching!